1. The Gospel Coalition has to be one of the most striking examples of the Lord's care for his church in our generation. When leaders are asked about the state of the church today, the immediate reaction is often hand-wringing and lament. 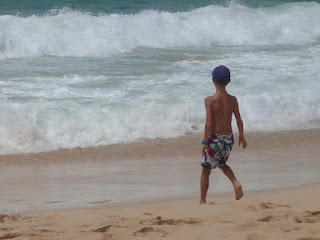 But TGC represents a wave of blessing and health and vitality and spiritual hunger and theological fidelity and evangelism fostering that is a big reason for celebration. 2. It's a particular pleasure, for me, to be there with my Crossway colleagues. I am just so proud of them. They are both humble and professional, instead of one or the other. They are not only colleagues but friends. How awful to do ministry alone. And we operate out of a deep well of shared theology and vision and commitments that makes our work together not only meaningful but fun. 3. Books. Books, books, books. I love books, and apparently so do other Christians. The swelling book lines in between sessions is itself a sign of spiritual health. Apparently people want to read, to grow, to learn. The day people come to conferences to hear sizzling preaching but don't care to take home books will be a sad day, if it ever comes. It isn't here yet. 4. Really appreciated Matt Boswell's leadership of the singing. That was one of my favorite things about the event. Don Carson on John 11 was rich indeed. Tim Keller on the new birth: typically insightful. Paul Tripp on suffering: deep wisdom. The best thing I heard all week was my dad's talk 'Pastor, Your Church Can Become Healthy Again.' I wish everyone at the conference could have heard it. Searching, deepening, eye-opening, emboldening. 5. One of the blessings of these conferences is to see friend-ministries we wouldn't otherwise--for me, talking to those representing Covenant Seminary, Rafiki Foundation, WTS, WTS Books, Christian Focus, Bethlehem Seminary, Third Mil, Indianapolis Theological Seminary--not to mention the many individual friends from seminary, grad school, etc one runs into. All these are impromptu conversations that have a way of bearing fruit as time passes; they're just as important, I find, as the planned meetings. 6. I'm grateful for denominations, including my own, and I'm glad to belong to one. But something isn't right if we evangelical denominations never come together. TGC provides that beautifully (as does T4G). I know something like TGC can't exercise church discipline, and that the leadership structure doesn't fit neatly onto what the New Testament prescribes for the local church, and so on--so what? It isn't trying to. It was conceived to provide an opportunity to come together around a theologically clear gospel of grace in a day of increasing fracturing. It's healthy to rally around the vital gospel doctrines we all revere deep in our hearts, even if that reverence clothes itself in denominationally distinct ways back home. 7. One final thought. I wonder what all of us who support TGC can do to consciously work against this great enterprise being quietly taken down by the flesh. Human nature being what it is, it seems to me virtually inevitable that an event such as this, with well-known speakers, and a big crowd, and a green room, and preachers quickly and quietly escorted around, provides a unique venue for venting the flesh, for schmoozing, for preening and parading--unless we deliberately fight against it. Left in neutral, we will slide toward worldliness; church history, the Bible, and honest self-knowledge all confirm this, unpleasant as the thought is. The Scripture emphasizes that much can come from little if the little is truly consecrated to God. There are no little people and no big people in the true spiritual sense, but only consecrated and unconsecrated people. He was not slick. He revolted against false appearances of leadership, growth statistics, and any show, in which he saw the dangers of pretense, performance, and praise of men. He had been there and found it dishonest, dangerous, and finally condemning. What a joy, an honor, to participate in and support TGC. Now, as we return home, may we celebrate a thousand blessings flowing from that great event and all that it represents, doing so with sober-minded realism about how quickly we can all slip into fleshly motivations, and with ongoing prayer, and with an insistence on spotlighting Christ himself in all we do and say and desire. If we don't, what began as gospel rallying 12 years ago will, in another 12, become one more venue for Christian fracturing, thus denying the very gospel that TGC came into existence to hold high. Faith wraps the soul up in the bundle of life with God; it encloses it in the righteousness of Jesus, and presents it so perfect in that, that whatever Satan can do, with all his cunning, cannot render the soul spotted or wrinkled before the justice of the law. Yea, though the man, as to his own person and acts, be full of sin from top to toe, Jesus Christ covers all. Faith sees it, and holds the soul in the godly sense and comfort of it. The man, therefore, standing here, stands shrouded under that goodly robe that makes him glisten in the eye of justice. This week I read Wright's new book on the crucifixion, The Day the Revolution Began. I'm not a Wright-hater. I owe him a lot. Some of his writings have been instrumental for my own development in understanding the Bible. At least one article of mine spawned from ideas he gave me while listening to him lecture. There are several points of his--such as the notion of a continuing exile in the first-century Jewish mindset, or Jesus as true Israel, or the Israel typology underlying Romans 5-8, or his understanding of our final future (what he calls the after-after-life), or his approach to the relationship between history and theology--where I agree with him against his conservative North American critics. And on top of that I like him as a person. But this book is just awful. I pretty much agree with Mike Horton's review though I thought he was too easy on the book. I'd like to add three thoughts to Mike's review. I'm not going to do any summary, just critique. For summary read what Mike wrote. There are virtues to the book too, including the quality of prose and several good insights. An example of the latter is the connection, new to me, between James and John's request to be at Jesus' right and left hand, when these two places, ironically, were reserved for the two thieves to be crucified next to Jesus (p. 221). But I can't review this book by trotting out a bunch of virtues and then saying one or two things that could have been stronger and concluding that it's a nice book that everyone should read. The problems with this book, unlike the majority of Wright's other books, so outweigh the good things that the net effect of reading it is spiritually dangerous. Many college students will read this book for their understanding of the crucifixion. I wish they wouldn't. This is a problem with other books of his, but here the false dichotomies are so fundamental to his argument, and so frequently rehearsed, that they become not only grating but structurally weakening. The entire book is built on artificial either/ors when a nuanced both/and would be far more true to the facts and convincing. Thus we are told that 'the question of whether people go to "heaven" or "hell"' is simply 'not what the New Testament is about. The New Testament, with the story of Jesus's crucifixion at its center, is about God's kingdom coming on earth as in heaven.' (p. 40). The response in each case is: Really? Doesn't the New Testament teach both, at some level? Are you leaving behind a one-sided view for an equal and opposite one-sided view, when a synthetic both/and is what is needed? It is indeed a hugely needed corrective that, say, Christians' final destiny is not disembodied heaven. We need to hear this. Our final, permanent state is earthly and embodied. But his correction becomes over-correction when he avoids any affirmation of the intermediate state and seems to leave no room at all for any disembodied existence at any time. Part of the difficulty is that at times Wright will say 'not simply that, but this' whereas other times he says 'not that, but this.' But that little word 'simply' makes all the difference (see pp. 76-77 e.g.). And the fact that he isn't consistent in this way creates confusion and ambiguity. Another part of the difficulty is that his dichotomies are sometimes set up in a way that is simply not in accord with the biblical evidence. Thus: 'Almost nobody in the gospels warns about "going to hell." The dire warnings in the four gospels are mostly directed toward an imminent this-worldly disaster, namely, the fall of Jerusalem' (p. 196). I appreciate the way Wright encourages us to read the Gospels in a historically sensitive way and to understand how first-century Jews would have heard Jesus. And the fall of Jerusalem is certainly in view in much of what Jesus says. But it simply is not true that 'almost nobody in the gospels warns about "going to hell."' Jesus himself does, repeatedly, and often with the very image of 'fire' that Wright wants to leave behind (Matt 5:22, 29-30; 10:28; 18:9; 23:3; Mark 9:43, 45, 47; Luke 12:5). Closely tied in with the problem of false dichotomies is the problem of caricatures. I say 'closely tied in' because the false dichotomies are themselves caricatures. Wright caricatures a certain view and says it's not that, but this. But the thing he's rejecting would often be largely unfamiliar to those who hold it. It's a caricature. Here are a few other caricatures--in other words, representations of views which, if the holders of such a view were to read it, they would not discern themselves in it. Caricatures are thus the opposite of love; they are not charitable presentations of a view, but uncharitable, to score rhetorical points. Never mind that Wright will go on 200 pages later to admit that in Jesus' death he was 'bearing the punishment' (Wright's words) that God's people deserved (p. 211), and so the view that Jesus 'took the punishment instead' turns out to be Wright's own view. For now I just note: Who in the world would see themselves in the view that God is angry and wants to kill people? That he 'hates sinners so much'? Aside from perhaps a few fringe hyper-fundamentalistic types I see none of Wright's critics, not the thoughtful ones, in this view. It is a caricature. It is irresponsible. It is fundamentally writing for Self rather than writing out of love. In another place Wright seeks to distance himself from 'the idea of an angry, bullying deity who has to be appeased, to be bought off, to have his wrathful way with someone even if it isn't the right person' (p. 44). What careful Christian believes that? How many biblically responsible evangelical/reformed pulpits (which is whom Wright designates as the critics from whom he is distancing himself) preach that, and in that way? In yet another place he casts his opponents' view as 'a dualistic rejection of the "world," with a smug "otherworldly" pietism, and with a severe story line that cheerfully sends most of the human race into everlasting fire' (p. 98). Hands up all cheerful hell-lovers? Again: 'At the center of the whole picture we do not find a wrathful God bent on killing someone, demanding blood' (p. 185). The Bible is not about "an angry God looming over the world and bent upon blood' (p. 349). But of course. Who would describe the God of the Bible that way? Later he speaks of the Bible as 'a narrative not of divine petulance, but of unbreakable divine covenant love' (p. 224). Who preaches a gospel of divine petulance? At other times he caricatures the academic community more than the church community. For example: 'comparatively modern readings of Luke and Acts have shrunk the meaning of the "kingdom" simply to the final return of Jesus' (p. 161). I know of no respectable Bible scholar who believes the kingdom of God in Luke-Acts is only about Christ's second coming. Sometimes the caricature is so misleading as to actually say the opposite of what evangelicals believe. For example: 'The common view has been that the ultimate state ("heaven") is a place where "good" people end up, so that human life is gauged in relation to moral achievement or lack thereof' (p. 147). Yikes. Heaven is for the morally good people? This is gospel confusion at its most basic. This is the same error my 4-year-old tends to still make but which my 6-year-old and 10-year-old now know to be error. From one of the world's leading NT scholars? Wright complains in other books and in lectures of being misrepresented by conservative American evangelicals. Much of the time I sympathize with his point. He does get misrepresented. Why then does he turn around and do the very same thing, misrepresenting others? There's an even deeper problem with the book. Wright is unclear on how the cross does what it does. Throughout the book I kept writing HOW in the margin. 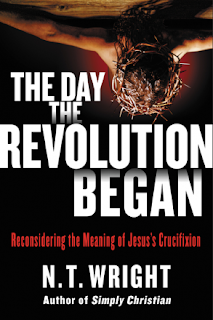 Wright tells us (if you'll forgive a run-on sentence) that 'the death of Jesus has opened up a whole new world' (p. 82) and 'the death of Jesus launched the revolution' (p. 83) and 'by six o'clock on the Friday evening Jesus died, something had changed, and changed radically' (p. 156) and 'Jesus believed that through his death this royal power would win the decisive victory' (p. 183) and that in the crucifixion 'the covenant was renewed because of the blood that symbolized the utter commitment of God to his people' (p. 194) and that the crucifixion is 'the personal expression of [the love of God] all the way to his death' (p. 201) and that 'something has happened to dethrone the satan and to enthrone Jesus in its place' (p. 207) and that 'a new sort of power will be let loose upon the world, and it will be the power of self-giving love' (p. 222) and that 'the cross establishes the kingdom of God through the agency of Jesus' (p. 256) and that 'Jesus in himself, and in his death, is the place where the one God meets with his world, bringing heaven and earth together at last' (p. 336) and that 'when Jesus died, something happened as a result of which the world was a different place' (p. 355). We are even told repeatedly that 'sins are forgiven through the Messiah's death' (p. 115). But Wright doesn't divulge how this worked. Notice how vague and foggy the above statements are. Why did Jesus need to die? How did his death begin a revolution? Then in the course of a few pages in the middle of chapter 11 (on Paul) I began to understand, in part anyhow, why Wright is evasive throughout the book. He writes: "Nowhere here does Paul explain why or how the cross of the Messiah has the power it does, but he seems able to assume that' (p. 230). A few pages later he writes of 'modern Western expectations' and the 'supposed central task of explaining how the punishment of our sins was heaped onto the innocent victim' (p. 232). Later, speaking of 1-2 Corinthians, 'At no point does [Paul] offer anything like a complete exposition of either what the cross achieved or why or how it achieved it' (p. 246). Wright is vague on how the crucifixion works because he thinks the New Testament is. At times he tries to explain that in Jesus's death the powers of evil are conquered and we idolators (not sinners so much as idolators) are freed through that great act of self-giving love. But even in these places where he tries to explain the how, he doesn't really explain the how. I still don't know how it works. In what sense does Jesus' death free us? Part of the solution, I think, which would go a long way toward strengthening the book, is to build in to a book like this a thick understanding of the holiness and justice of God--complementing, not competing with, God's covenant love which Wright rightly emphasizes again and again as God's most fundamental internal motivation. But without God's holiness and justice, you cannot explain the way Christ's death works. Even though Wright says in the book's opening pages that the crucifixion is not simply a beautiful expression of the great love of Christ but is something more than merely exemplary, his own exposition often seems to explain the crucifixion in just this way. Related to this one-dimensional view of God as benevolent but not really wrathful in any traditional way (also prevalent in Doug Campbell's writings on Paul) is Wright's explanation of divine punishment as simply the consequence of sin (p. 338). I agree with Wright regarding so much of what he wants to leave behind, even if he uses caricature to cast it. For example I agree with his rejection of a 'works contract' as the framework for understand the work of Christ. But the answer to those who have drilled the theological screws in too tight and made the crucifixion artificial and overly formulaic is not to under-explain it as Wright does. I've been strongly critical of this book because Wright is otherwise one of our (our) strongest authors and because there is so much that is helpful in his corpus that it is frustrating to have such a weak book at this stage in his career. And it is sad that many younger people may read this as their first substantive book on the meaning of Christ's death. At the end of the day here's the question to ask of a book that claims to be a popular level book on Christ's crucifixion. A street-level test for someone trying to track with Wright in this book would be: If your college-aged son or daughter came to you in abject distress at their idolatry or sinfulness or addictive behavior or enslavement to the world's priorities, and sought your counsel, what comfort would you have for them according to this book? Beneath all the clever cuteness about how all reformed evangelicals have been asking the wrong questions, after all the ornate assembling of the Bible's storyline, what is the actual comfort of Christianity for your beloved child? What can you give them? What can you say? This book does not give you much to latch onto. And that is a problem, a problem of a fundamental and not peripheral nature, especially for a book pitched at a general Christian population. I will not be recommending this book to the people at my church. Those who want to read about the meaning of the crucifixion should go to Donald Macleod's Christ Crucified or John Stott's The Cross of Christ. And I look forward to Wright's next book, which I will read and, I expect, enjoy.